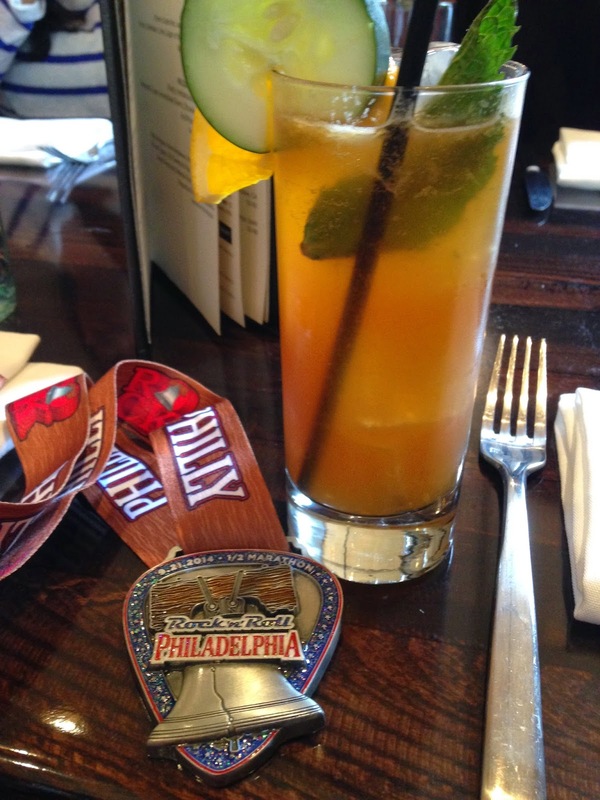 On Sunday, I did my TENTH half marathon which was the Rock N’ Roll Philly Half Marathon. I’ve heard of RnR before but this is my first time doing an RnR race. 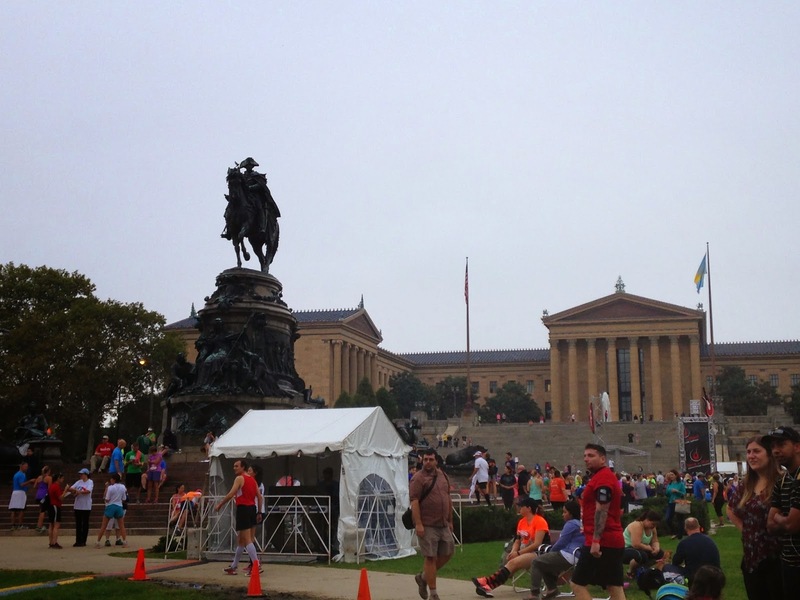 This Philly race reminded me a lot of last November’s race when I did the Philly Marathon. 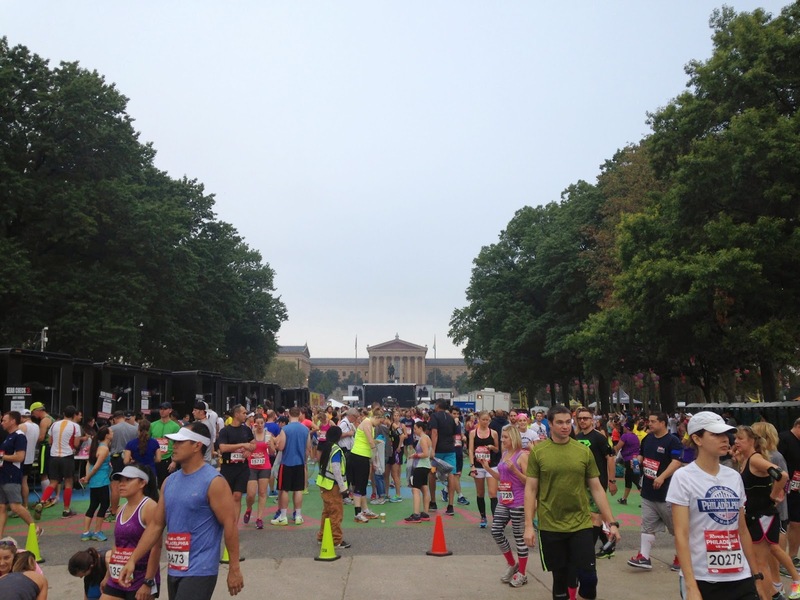 Bib pick up was held at the Philadelphia Convention Center and the start and finish were in the same place. That being said, I thought that this was 100x a better race – from the expo to the post-race party. 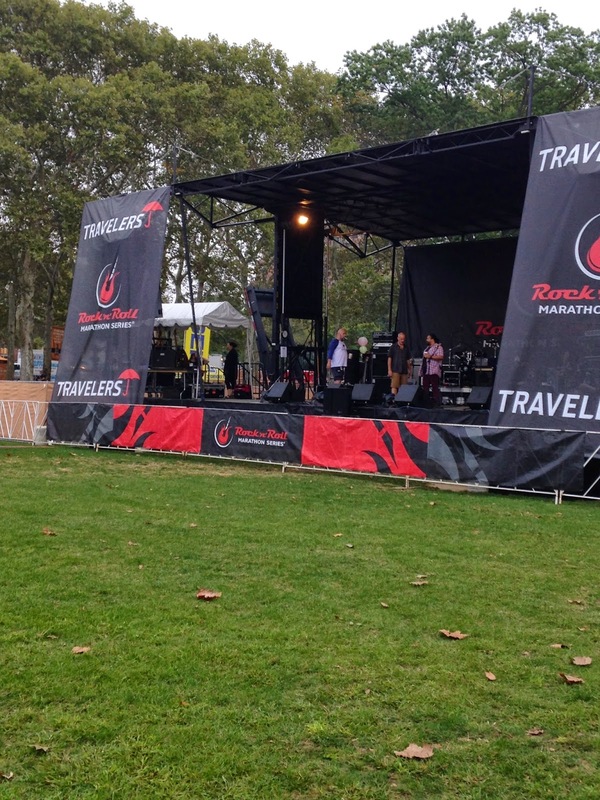 The pre-race expo was huge with a ton of vendors and samples: Brooks, Sparkly Soul, Apera, etc. We stayed at the Residence Inn which was a short walk from the start line. When you share a room with a bunch of 20 somethings who aren’t racing – you don’t get much sleep (although I did have delicious leftover pizza and cookies post race). I went to sleep around 1am for an 8am start time. I got up at 6:30 am and slowly got up and left around 7:15. There were 20+ corrals and I was in corral 17 or so, which is all the way by the finish line and the museum. The corrals were probably the smallest I’ve ever seen at a race but there was no race congestion during the start, or at least during the first few miles. Minus the physical pain that I was in – the race was pretty awesome. 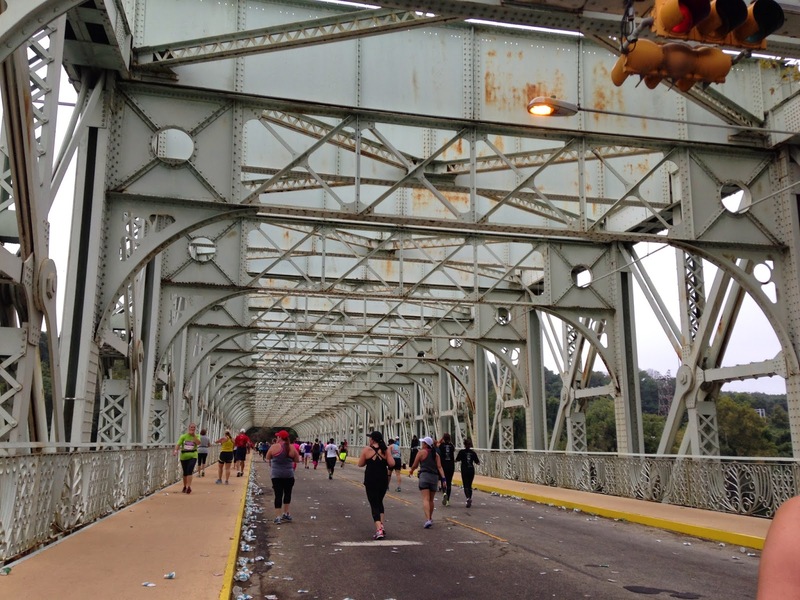 I much preferred this course to the Philly half/marathon course (which the half and marathon course share the first 13 miles together). 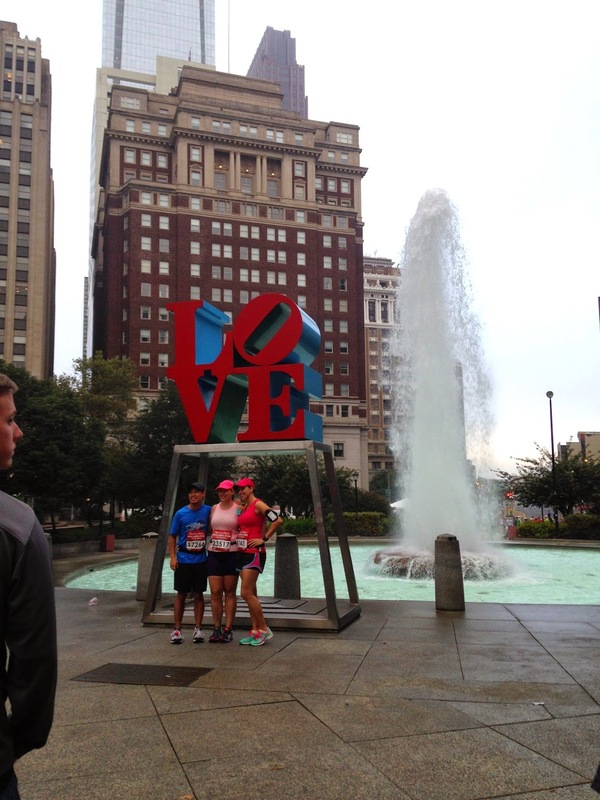 The course took you through a tour of the city of Philly through all the historical points of interest, which RNR had signs for (i.e. 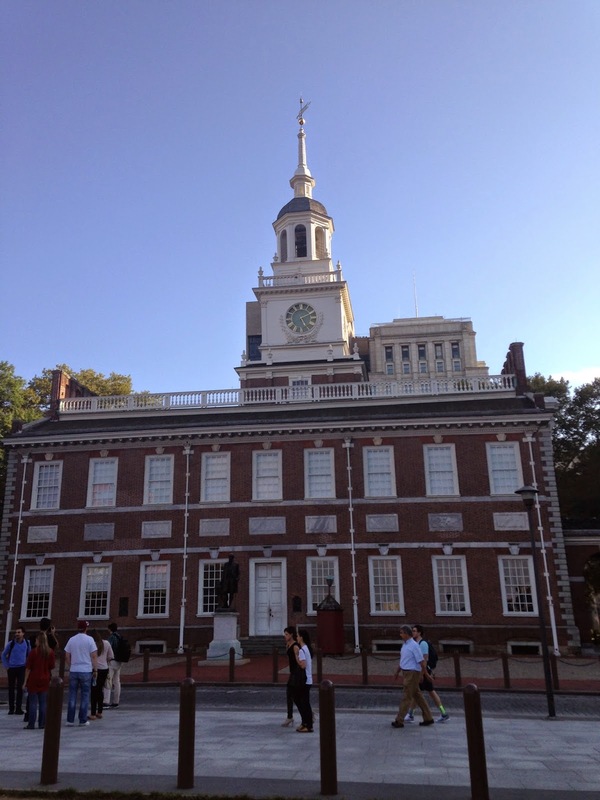 This is where Ben Franklin is buried, this is where the liberty bell is, etc.). RnR also had great motivational signs (a favorite = WTF? Where is The Finish? around mile 9 or 10 I think). 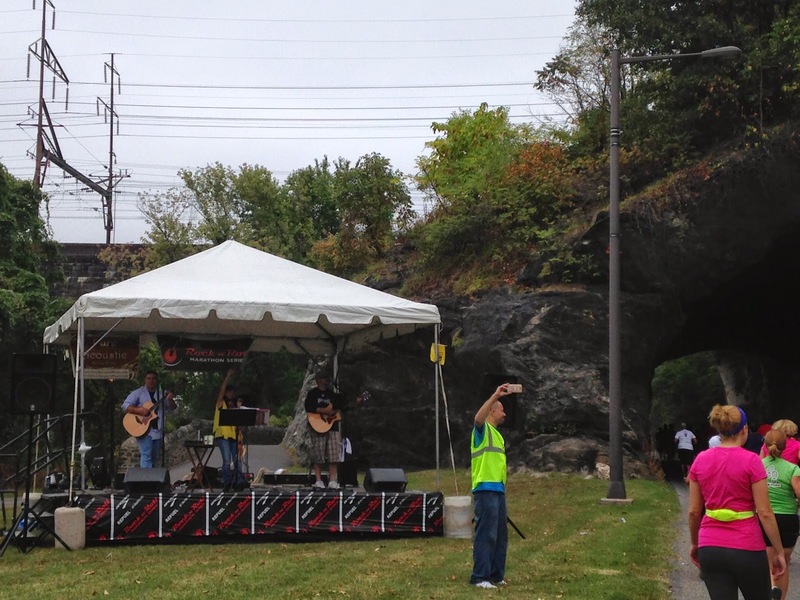 Plus of course they had great music during the race. I was at the back of the pack and was pretty worried that I’d be picked up and forced off the course but I wasn’t. A majority of people around me after I stopped running at mile 9, and was doing my shuffle, were walking. Post race I was looking at an article about race limits and races that are walker friendly and apparently RnR was one of them. I think the course limit here was 4 hours (which I believe is after the last corral starts). I ran most of the race but after mile 9 I couldn’t – walked a mile, ran a mile, walked, and ran most of the last mile. Post race party was pretty awesome and each runner got a free beer ticket. I was so tired and exhausted that I couldn’t have my beer. Each runner got some PowerBars, pretzels, gatorade and water bottles. I do believe there was chocolate milk too. The medal is awesome and pretty heavy. 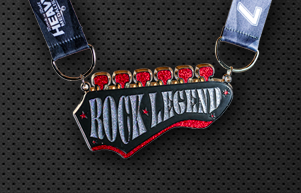 When I got back to the hotel, I got in the elevator with a husband and wife who was wearing I think 3 medals: the RnR Philly, the remix one (if you ran the 5k the day before + the half that day, you got an additional one) plus the Rock Legend one below. For the record the one below is MASSIVE. It had to be the length of my hand and looked really heavy. 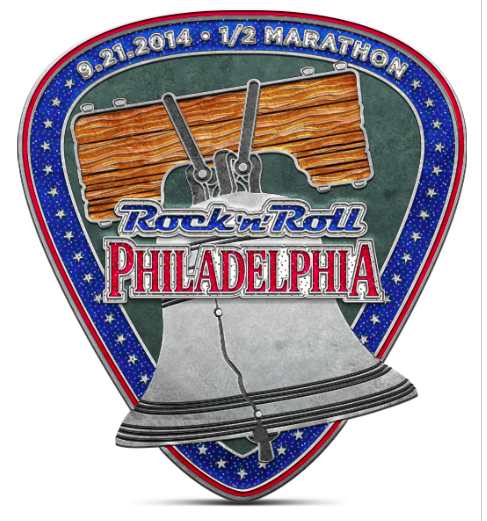 I checked out the website: you get it for running 7 RnR races plus more medals for more races you do. As for my foot, I was wearing the wrap on Monday & Tuesday but by Wednesday the pain was gone. I have 3 big races coming up: Bronx 10 miler this Sunday, the Staten Island Half Marathon on October 12, and the NYC Marathon on November 2. Am I running all of them? HELL YES I AM. Even if it means that I have to run/walk or even walk most of it, it’s happening. I’ll be upping my foam rolling and yoga. What do you do when you’re sorta injured? I’m sure others have ran through worse pain. 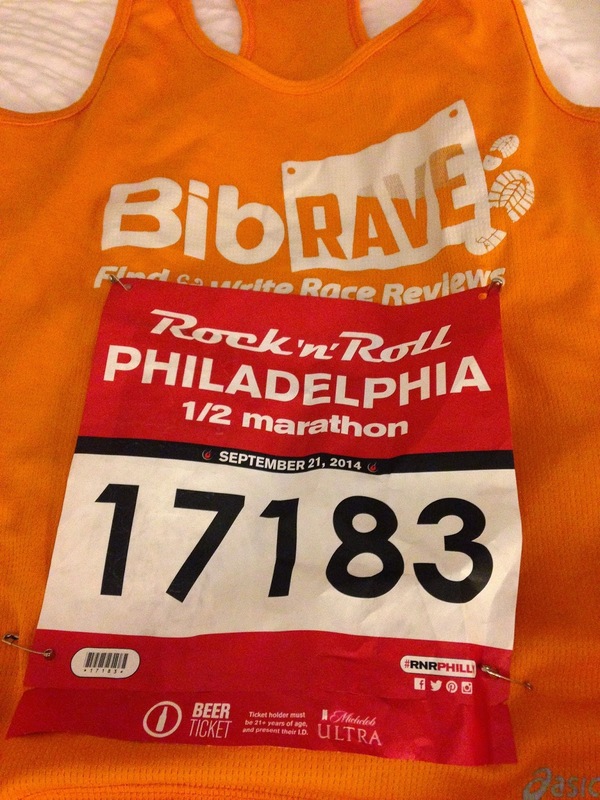 Disclaimer: A bib was provided to me via Bibrave’s Bib Rave Pro ambassadorship. All opinions are my own.